Custom creations and food presentation always help parties look more fabulous, as seen in this spectacular Beverly Hills circus party food display courtesy Revelry Event Design and Sonia Sharma Events, a team that always comes up with amazing ideas. 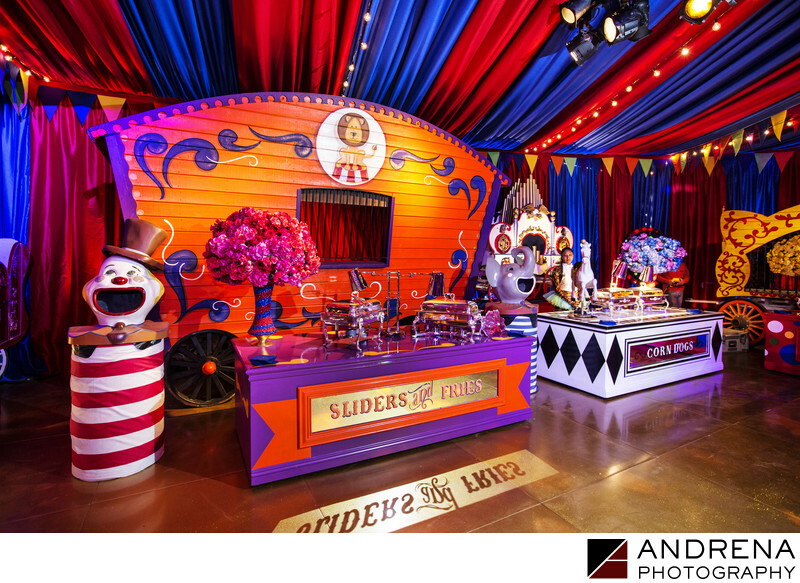 This circus-themed party included a red and blue big top, so the colorful food stations helped keep the fun and festive atmosphere going throughout the tent. I particularly loved the color combination of orange and purple for the sliders and fries display, as it seemed so energetic and festive. Custom food stations truly elevate any party to another level. We truly love taking care to photograph every decor element to ensure that nothing is missed.